Xero, cloud-based accounting system, mainly developed to target small & medium sized business. Rod Drury and few personal accountants in the year 2006 when they felt that manual accounting software has been obsolete and it’s time to look ahead with cloud-based version founded it. Total revenue has crossed $ 84 million and has a market presence across Australia, UK and US. Xero has an intelligently designed UI and comes with a unique, easy navigation. For the novice user, it is very effortless to navigate across all functions and understand basic flow. Although there are flaws like, the header is not available with each menu in user panels, inability to compare duplicate records etc. that can create uncertainty for first-time users. FreshBooks has simple UI with all menus present at the top of the window. As soon as user login into the application, help video will start and can make work relatively easy. 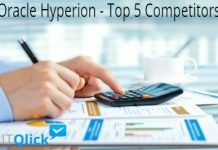 Although it lacks in basic functionality like Payment processing from multiple countries, Help function, Expense categorization, which is most common among other competitors. Customer service is of most important in today’s era. Xero offers 24*7*365 service while FreshBooks offers Monday to Friday 8AM – 8PM EST support. However, FreshBooks have very less turn-around time for bugs fixing. This factor certainly weighs in favour of FreshBooks. 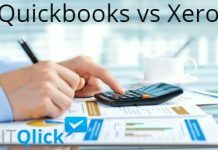 Xero has different support model as compared to other competitors and hence does not have Tech support or inbound Phone numbers. instead queries are provided via email and in return if they have any concern they will call or else directly reply to email. FreshBooks offers phone as well as Email support with almost zero hold time. The Knowledge base of both covers all functionalities in detail. It includes authenticator app generating password even after normal user login. Servers are regularly audited, 24*7 monitoring with biometric access to authorised staff & has multi-layer firewall protection that prevents intrusion. While Xero has data-backup features across all geographical location, FreshBooks backs up only at two locations. This can cause real problem if primary backup centres are down. Xero also includes PCI, DSS and SOC2 security certifications. Both provide an option to users for manually importing CSV files to enhance the banking process. FreshBooks provides a mechanism for handling multiple transactions that reduce overall time. On the other hand, Xero does not support such feature. Each customer request is taken separately which results in increased transaction time. Xero has a capacity of handling 1000 bank transaction CSV files at a time. Hence, heavy transactions need to be broken into multiple smaller tasks. This is not the case for FreshBooks where it allows heavy transactions at one go. Due to cloud-based nature of software, performances can go unresponsive at times during heavy user traffic that might result in loss of transactional flow. Below are the suits of features offered that distinguish both software’s from each other. Mobile Access: The best feature where anyone can check various balances, upload invoices and receipts from anywhere any location. Xero is available on Android, IOS as well on a Windows-based phone while FreshBooks is available on Android and IOS devices only. User Limitation: Xero grants unlimited user access while FreshBooks allows only up to 6 users. Real-time Reporting: Allow creating and view reports real-time, taxes can be filed in minutes. Xero supports 40+ reports whereas FreshBooks supports only 20+ reports. 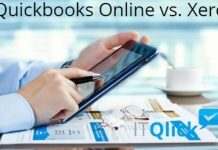 Online Invoice: Both supports automated recurring invoices that can be sent to users in just a single click. Automated Tracker: FreshBooks provides automated tracking and sends reminders for invoice, late payment etc. This is not the case of Xero where manual checkpoints need to be kept so that periodically reminders can be sent manually. Direct Bank Feed: This will help by directly importing bank statements of daily basis so that task will not be piled up in month end. Bugs have been reported against Xero for duplication statement upload. FreshBooks scores well in this niche, as there are no cases reported against it for duplication statement upload. Accounts payable: It includes double entry bookkeeping, the creation of purchased orders, bill customization. 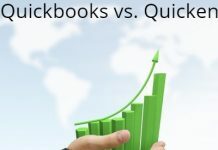 This is one such feature where Xero fares well against its competitor, FreshBooks. Contacts: Both have ability to create a contact group wherein users can send the same items by selecting multiple customers from the contact list. Expense Tracker: The users can directly feed Expenses into the system. This can later be reviewed/approved by an administrator. This features is well integrated in both of these applications. API: Xero doesn’t have its API which can help developers to create integration with other apps. FreshBooks has its own API and hence can be configured as desired way. Both of these applications come with free 30 day trial version before the customer could get their feet wet in the software. By now, it is quite clear that there is no clear winner in this competition. 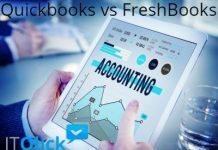 Xero is more dynamic, multiple useful features and customizable, whereas FreshBooks has its own sets of advantages. In case you are still confused, try out the free trial version of both software’s and take your verdict. Xero is relatively newbie and is undergoing constant changes to deal with the dynamism of accounting world.